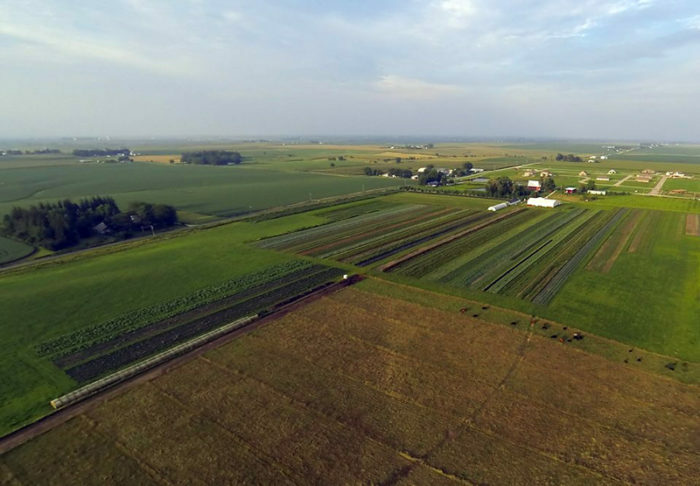 One of Iowa’s largest community supported agriculture farms, which is built around numerous conservation practices, fights for survival amidst economic and climate pressures. On a quiet day in early March, Andy and Melissa Dunham’s farm, just north of I-80 in east-central Iowa, is a place of unlikely intersections. A steamy greenhouse full of newly planted seed beds is half buried in ice and snow. An old-fashioned red barn looks out over a newly maturing grove of hardy kiwi vines and chestnuts. And in a few months, the couple’s rows of carrots, beets, and kale will be surrounded by vast corn and soybean fields that stretch to the horizon. Grinnell Heritage Farm (GHF) once looked like the fields that surround it, which dominate most of Iowa’s landscape. But today, it’s home to one of the largest community supported agriculture (CSA) farms in the state. The Dunhams grow 40 to 60 types of certified organic vegetables, herbs, and flowers for their members and 10 to 12 wholesale crops including kale, cabbage, onions, carrots, parsnips, and beets. They pack up to 250 CSA boxes a week in summer, fall, and winter. And a small herd of 15 cows, which they keep mostly to support soil fertility, also provides meat and feeder calves in the fall. In providing for their devoted customers, the Dunhams employ an impressive array of soil-building, conservation, pollinator, and ecosystem practices—and, set in the middle of Big Ag country, they demonstrate how agriculture can benefit the land and the community. Organic certification gives them a way to talk with customers about their farming practices, but their philosophy extends well beyond the requirements. “If you can name a conservation practice, we’re probably doing it,” says Andy, ticking off a list of just some of their efforts: no-till and minimal-till farming, pollinator habitat, hedgerows, rotational grazing, and more. Even though the Dunhams have spent a lot of time building a resilient, environmentally focused operation, recent weather extremes and changes to the retail environment have put their farm (like many others) in a vulnerable place financially. While Grinnell Heritage Farm escaped the recent devastating floods that drowned fields and towns along both sides of the Missouri River in western Iowa and eastern Nebraska, a number of other climate- and industry-related challenges remain. Grinnell Heritage Farm, in Andy’s family for five generations, started back in 1857. 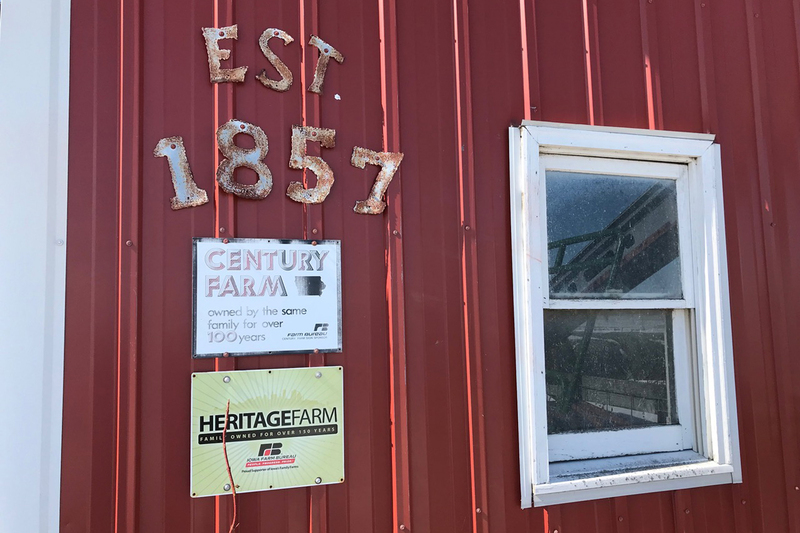 Like most farms in Iowa, it began as a diversified operation, with livestock, forage, fruit trees, vegetables, and grain, and over time it was converted to corn and soy. By the time Andy’s grandparents were ready for someone to take over, their 80 acres of commodity crops had become less and less profitable. Andy grew up in the small town of Hopkinton in northeast Iowa, riding along on farm calls with his dad, a large animal veterinarian. Despite his family history, farming wasn’t something he considered doing until joining the Peace Corps as an agricultural extension officer in Tanzania. Soil fertility was a huge limitation for farmers there—people spent half of their yearly income on fertilizer. With an acre to tend, he began learning soil building, composting, and organic methods. After a year on an organic farm back in the States, he came home to his grandparents’ farm in 2006. He started growing vegetables on three acres, expanding production over time to 20 acres, with the rest in pasture, hay, fruit trees, and wildlife habitat. Andy and Melissa, who both turn 40 this year, married in 2007. 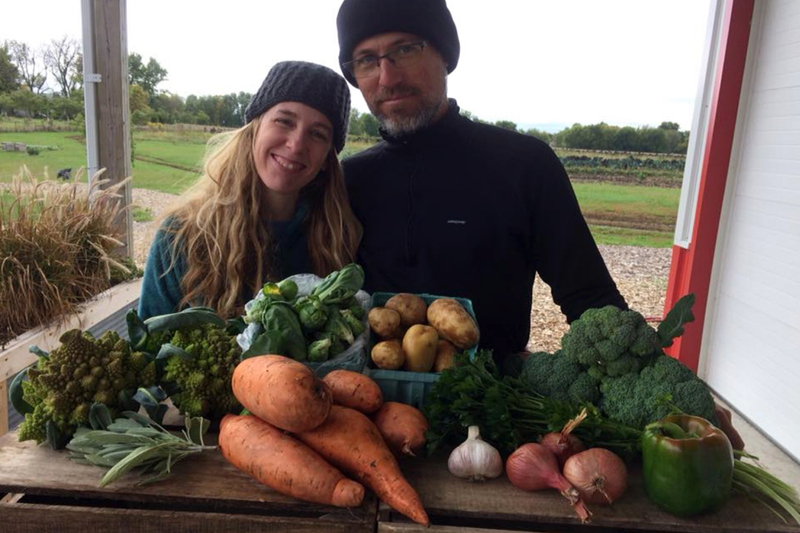 With her creative energy and background in accounting and his farming knowledge and experience, the farm is now their full-time livelihood; they’ve invested in a greenhouse, packing shed, loading dock, barns, and drip irrigation. They value the flexibility of the work and the time it grants them with their three children, Collin, 20, Emma, 10, and Leonora, 7. 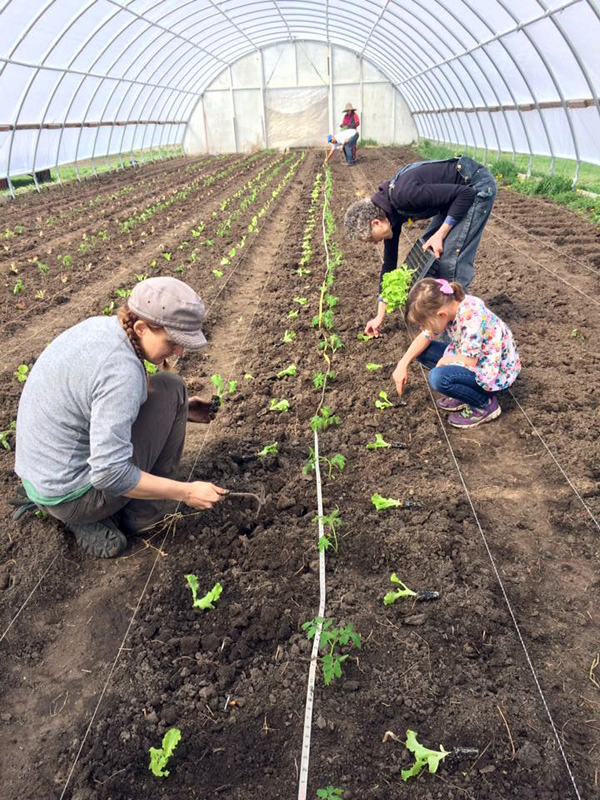 In addition to Andy’s aunt Janet, the farm employs four people full-time, year-round, as well as two to three seasonal workers. Unfortunately, affording health insurance and providing for employees is difficult given that wages rise faster than produce prices, and Andy and Melissa are finding it increasingly hard to find help. Nevertheless, the Dunhams are continually learning and expanding their efforts to build soil and make the farm ecosystem more resilient. They grow cover crops on 85 percent of their acres, waiting as long as practical to maximize nutrients before plowing them in. They use a no-till drill for planting in some areas and minimal till elsewhere to avoid soil damage. In areas without good drainage, they use raised beds. Over 10 years, they say, their soil organic matter has more than tripled. On a cold March day, the Dunham’s cattle and calves munch hay next to the barn. Andy estimates they’re standing atop a four-foot layer of manure and compost that will become fertilizer once the weather thaws and the cows move onto pasture. They also devote a lot of energy to creating a habitat friendly to pollinators. “Beetle banks” are among the practices they’ve adopted as part of a collaboration with Bee Better Certification from Xerces Society of Invertebrate Conservation. The raised earthen berms, planted with native grasses and flowers, attract pollinators, and also provide habitat for nocturnal ground beetles that feed on potato beetles. Hedgerows provide shelter for bees and buffers against pesticide drift from neighboring cornfields. CSA memberships and wholesale accounts are their primary source of income. Their most important wholesale buyer is FarmTable, a food hub based several hours west in Harlan, Iowa. The local food aggregator, which deals in fruits, vegetables, dairy, meat, eggs, honey, and other local products, picks up and distributes GHF produce to retail stores and restaurants in Omaha, Lincoln, Des Moines, and other urban markets. FarmTable Owner and General Manager Ellen Walsh-Rosmann, a fellow farmer, says the Dunhams are one of the hub’s largest vegetable suppliers. Buying from GHF gives her a good variety of products and a long season, she says, and it’s especially important for stores that want organic produce. 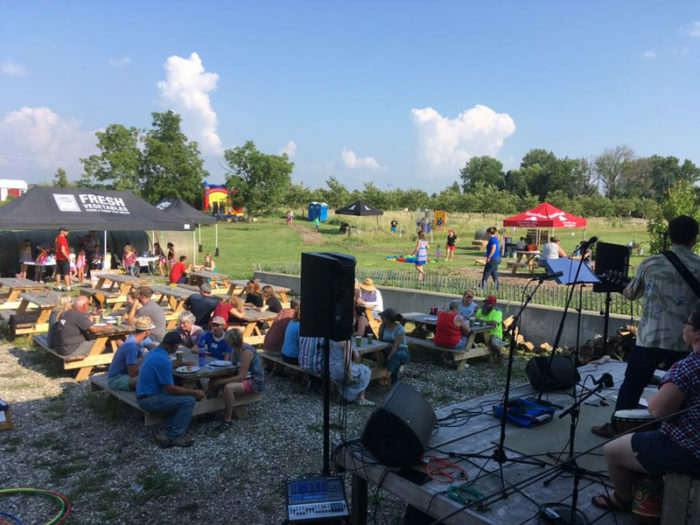 In addition to the food hub, Whole Foods Market buys from GHF for their west Des Moines store and their regional distribution center, and GHF delivers directly to other accounts, including a dozen CSA drop sites across eastern Iowa. Last year was a rough. A cold spring and hot, dry summer were followed by two months of drenching rain, flooding, and an early freeze. After coaxing a good crop through the heat, two-thirds of an acre of carrots rotted in the field just before harvest, and they lost $150,000 in overall sales. Wholesale deliveries that usually last well into February ended in November. And for the first time ever, GHF cancelled one week’s CSA shares. The losses forced the Dunhams to borrow more than usual to pay for seeds and other costs ahead of the 2019 season. In addition, they’re shifting their planting schedule to finish earlier in the season to reduce risk, and they asked CSA members to purchase 2019 shares early to help with up front costs. 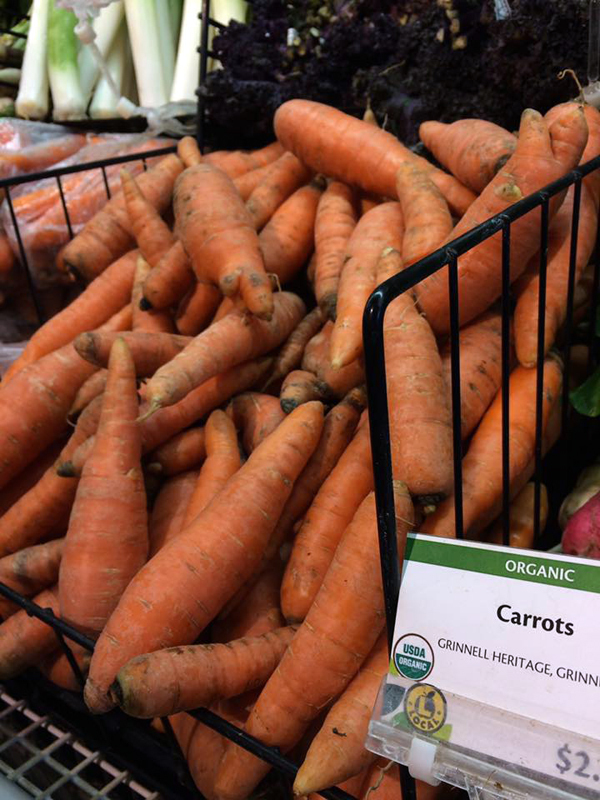 Shoppers at New Pioneer missed the carrots, but Moen says many are aware of the devastating weather and are already looking forward to this year’s crop. The store found other suppliers to fill the gap, but local produce is a key distinction for the 35-year community-owned store. FarmTable sales were also hurt, according to Walsh-Rosmann; without the beets and carrots from GHF, some customers dropped orders for other local products as well. In addition to climate-related issues, changes in the grocery industry are another concern, even when the weather cooperates. Long-time customers like New Pioneer and other regional grocers have lost sales to national chains like Aldi, Costco, and Trader Joe’s. The larger chains don’t carry local produce, so the lower sales affect not only the stores but also their local suppliers. One major chain, which used to allow individual stores flexibility to buy and set prices with local growers, now caps prices in a central buying office, cutting out most local farms. The Dunhams are thoughtful and deliberate about the choices they’ve made for their land. 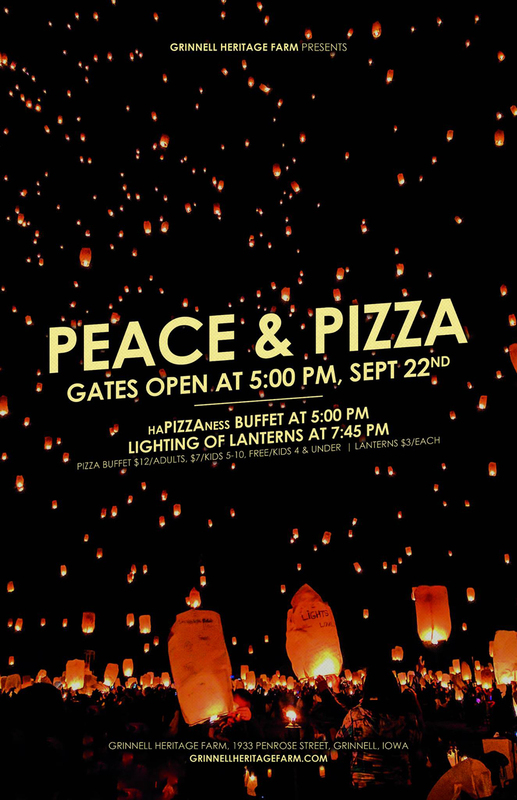 Their mission is “to farm our land in a way that will leave it better for the next generation, giving our children, grandchildren, and beyond the opportunity to harvest the bounty we see on the farm today.” To share those values with their community, they’ve started holding regular gatherings, dubbed “HaPIZZAness,” that bring neighbors and families to the farm for wood-fired pizza, music, and wagon rides, creating connections that are about more than vegetables. Still, the challenges of climate change and economics weigh heavily. As the arid/humid boundary at the 100th Meridian continues moving east, expanding the drier parts of the country, shifts in weather patterns and planting zones, as well as drought, flooding, and extreme weather events, are all predicted to increase. Crop damage and pest and disease pressures will be especially harsh in certain parts of the Midwest, and windows for planting and harvest in the region will grow shorter, according to reports from USDA, ag business leaders, and climate scientists. Additionally, a 2018 Cornell University-led study predicts that a 1-degree Celsius increase in summer temperatures could quadruple the frequency of crop losses and points out that with so much reliance on just two crops, corn and soybeans, the Midwest is especially vulnerable. For Walsh-Rosmann, the evidence of a changing climate is already here as the Midwest deals with the recent historic floods. The farms that supply her are all safe, but she’s been delivering relief supplies to nearby communities, and the destruction is heartbreaking. “Do we weather the storm and hope the local food system is more resilient than the rest of conventional ag?” she wonders. The Dunhams worry that another year of weather extremes could force them to scale back or take on more debt than they are comfortable with. The web of community and economic support—grocery stores, small distributors, food processors, and restaurants—is interdependent, and farms like theirs are at risk across the U.S.
“If we can’t make a go of it, on some of the best soil in the world, with a pretty competent farmer, the lights are going to go out for a lot of people,” Melissa says. Half way through the book,The Uninhabitable Earth. Yesterday the we blow up a vote on the green new deal. Oh my! Taking on more debt will increase the odds of failure. Sell some land, become smaller instead. As president, Tulsi Gabbard will end federal subsidies for oil companies and invest that money in supporting renewable energy & renewable agriculture—industries that are vital to our future, address climate change, and are necessary for energy & food security. Have you tried having working students for a term or a year? Andy and Melissa Dunham are setting a great example of what is needed to combat the decades of questionable farming techniques and soil depletion. It gives me joy to see a family farm not only staying in the family, but producing wholesome food for other families. Too many are being sold to large conglomerates. Having been reared on a 6th generation family farm, I know how much work goes into it. There has always been mother nature to contend with, but it is getting more unpredictable and extreme. We need more farmers like the Dunhams. My best wishes for their continued success. These are some of the most brilliant, hard working and innovative food farmers in Iowa. 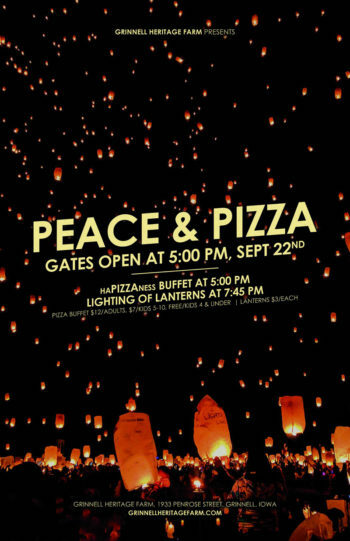 They're doing everything right. It's time to feel the urgency of rebuilding the local food system - from affordable ground up - so they and others like them stand half a chance against canned food, corn chips and broccoli from Guatemala.